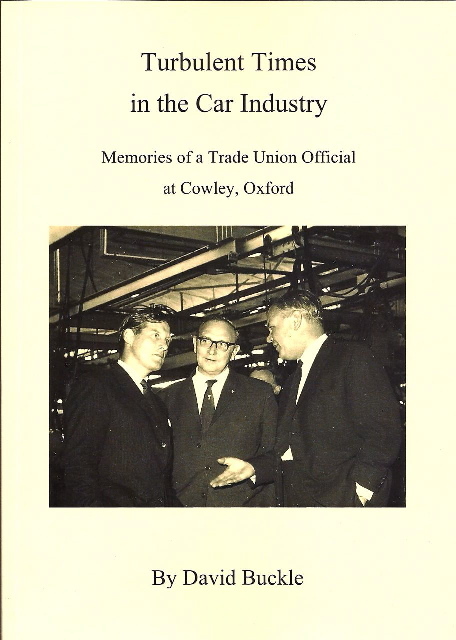 The book, Turbulent Times in the Car Industry: Memories of a Trade Union Official at Cowley , Oxfordis the result and is his personal account of important events affecting the car industry during the second half of the 20th century. It also includes memories of his visits to German and Russian car plants in 1978 and 1984 respectively. David Buckle MBE is a long-standing Radley resident and was chairman of Radley Parish Council from 1995 to 1997, and again from 1999 to 2003. He was also a county councillor from 1989 to 2001, and served as a magistrate in Abingdon for over 30 years. David was awarded an honorary doctorate from Oxford Brookes University in 2001. Read David’s profile on the university’s website . Published by the author, April 2011.